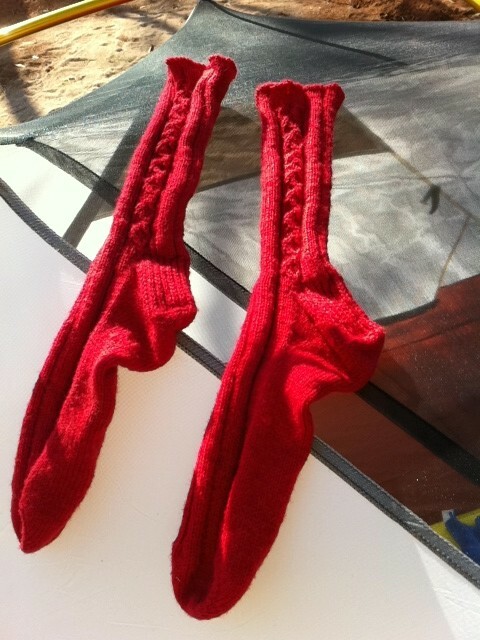 Miss Loopy went missing at a gas station stop in Queensland...so in memory of her I knitted this pair of 100% wool socks. I forgot to add them to the blog at the time and I have since worn them out. I hope Miss Loopy found a good home!